The union of South Korea’s second largest tire maker Kumho Tire Co. which went under Chinese rival Doublestar Tyre will hold a press conference on Friday in front of the Consulate-General of the People’s Republic of China in Gwangju in South Jeolla Province to ask the Chinese management and state to do more to normalize operations in China. 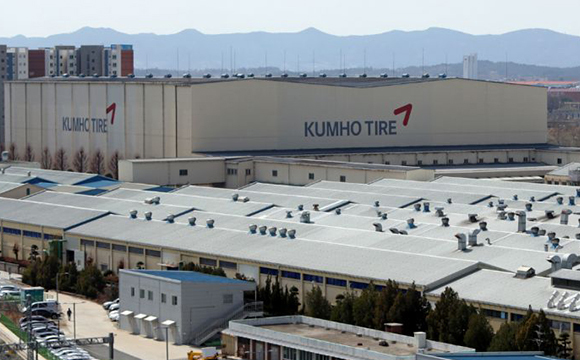 The Chinese factory has been running below half of its full capacity and the troubles of the Chinese operation were delaying recovery of Kumho Tire, the union claimed. The management plans to channel 40 billion won ($35.2 million) out of the fresh capital it had offered during acquisition, but any money put into the Chinese operation at current poor state would only end up going down the drain, it said. It proposed the money be spent on overseas sales network, marketing, research and development and facility investment. The Chinese government should do more to aid the Chinese operation since Qingdao-based Doublestar Tyre is state-owned, it said. Doublestar paid 646.3 billion won in last July for a majority stake in Kumho Tire, of which just 160 billion won are left. The union claimed the company would face another liquidity squeeze if the money was not wisely spent before business picked up.